By now, you’ve probably heard all about the Dodge Challenger SRT Demon. 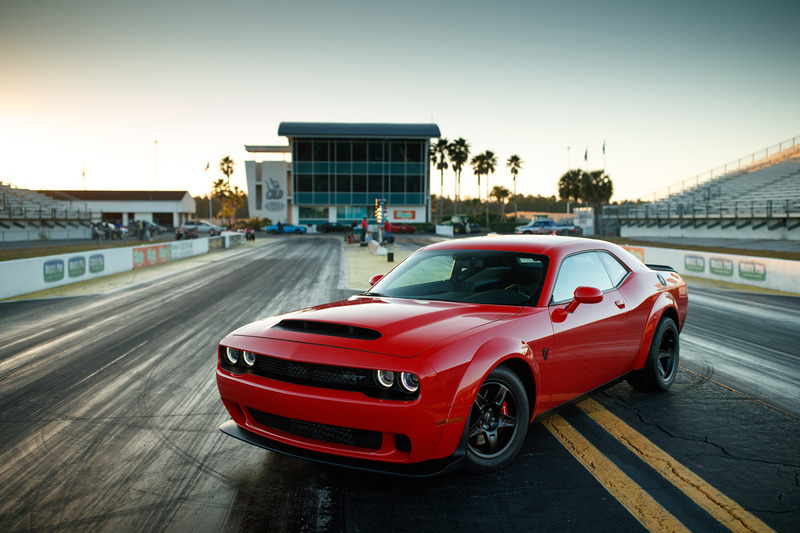 After its debut at the New York International Auto Show, the Demon was officially declared the fastest production car in the world. Going from 0-60 in 2.3 seconds, this car will answer all of your performance prayers…and then some. There’s no way to truly know its power until you experience it. And now you can at Lester Glenn. Options is the key word with the Dodge Demon. There are four different packages to choose from and each of them deliver features and accolades that will only elevate your driving experience. The Comfort Audio Leather Group package will give you Harman Kardon 18 speaks and 900 watt amp, Heather and ventilated front seats, heated steering wheel, and premium floor mats with bright pedals…among other things. The Demon Storage Package will provide you with a Demon Car Cover and a Battery Manager. Feeling like picking and choosing? Some stand-alone options include a Power Sunroof, Red Seat Belts, Satin Black Hood, and Painted Black Satin Graphics Package. Anything you could possibly want on your Challenger can be found with the Dodge Demon. If you’re looking for something that will set you apart from the rest, the 2018 Dodge Demon SRT is the best choice. Style, performance and most of all, power, we promise the Demon will deliver on everything you could ever want. Don’t wait; build yours today and then check it off your bucket list. We’ll be here when you’re ready. The 2018 GMC Terrain: Arriving this Summer!